- The water inlet, water outlet and condensate outlet connections are incorporated into each tank. - The water recovery system fills each tank by means of fill valves. 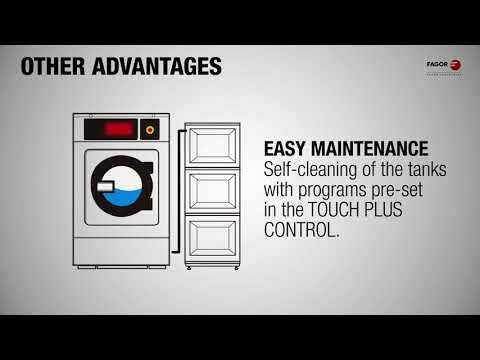 - Tank self-cleaning programs from the Touch Control of the washer. Stainless steel tubular burners with pilot light ignition system. Gas valve burner control with safety thermocouple. Models with chrome plate, controlled by thermostat. Removable grease collection drawer.